This one's a TEN! 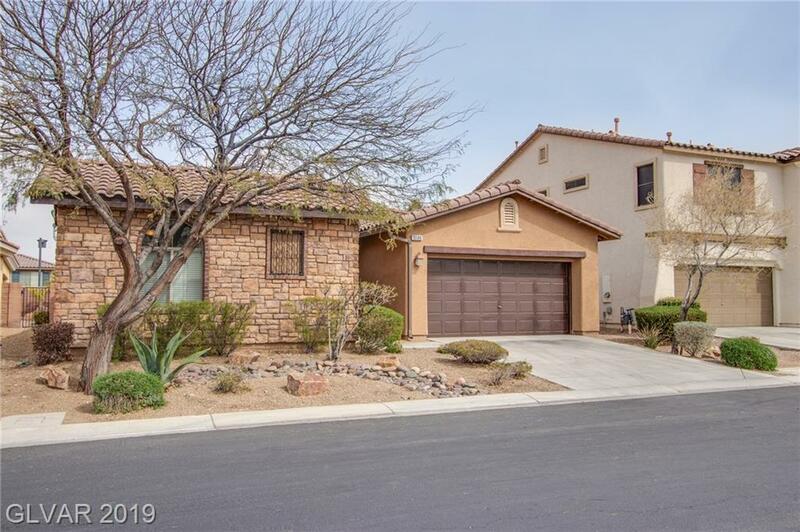 Beautifully upgraded one story home in Mountain's Edge with sparkling pool/spa! This super clean home has 3 bedrooms & a den. Features 9-foot ceilings, lots of recessed lighting, two-tone paint, tile floors, plush carpeting, ceiling fans & wood blinds throughout. Fireplace w/ wood mantle, new flooring in master suite, & gorgeous remodeled master bath! New water heater, water softener, & overhead storage racks in garage! Directions: From 215 & Buffalo: S On Buffalo, Past Blue Diamond, E On Cactus, R On Castle Keep, L On Painted Mural, R On Soaring Palm.